While working on a thesaurus for a client, one of the employees interviewed had some difficulty with the word 'thesaurus' and spoke of 'thesuaris'. 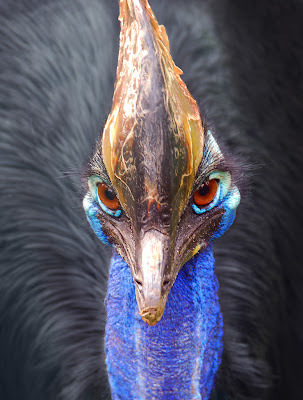 My colleague who knows his birds, was triggered and told me about the 'kasuaris' (dutch spelling for Cassowary). Hence the Thessowary bird depicted.